These are sterling silver, snake style necklaces that come in either, 18", 24", 30" or 36" lengths. These high quality 1mm - 2mm chains. 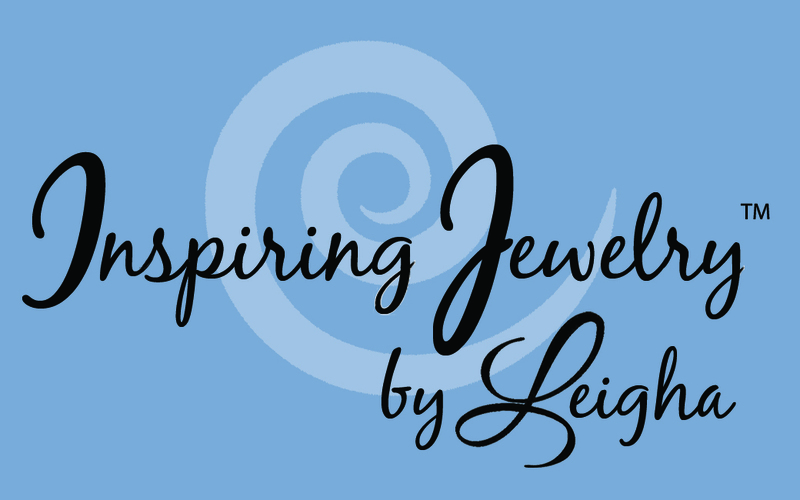 A sterling silver or silver/gold plated Prayer Box or Blessing Box Pendant is included. Comes on a necklace chain. 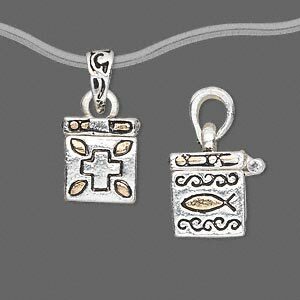 Prayer Box Pendant is made with antiqued silver and gold finished pewter. Comes on a necklace chain. 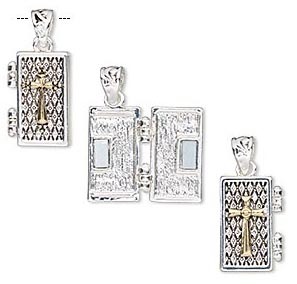 Silver plated & gold plated prayer box charm or pendant. Includes sterling silver snake chain necklace. The silver plated/gold plated pendant is 13x11mm cube prayer box. Comes on a necklace chain.